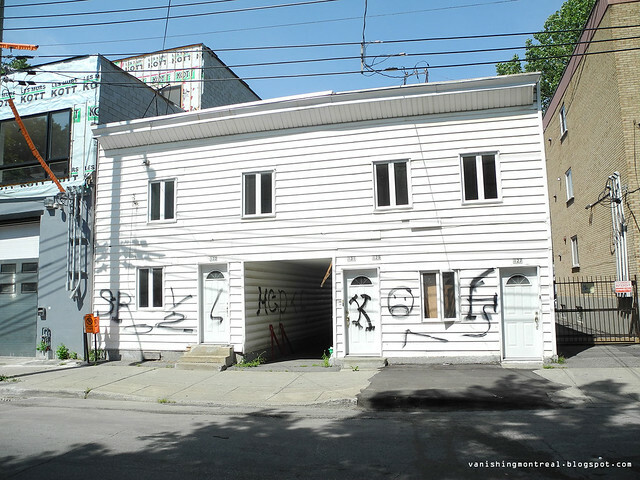 A garage is getting a new addition and a small quadruplex is partially abandoned on Bourget street in Saint-Henri. 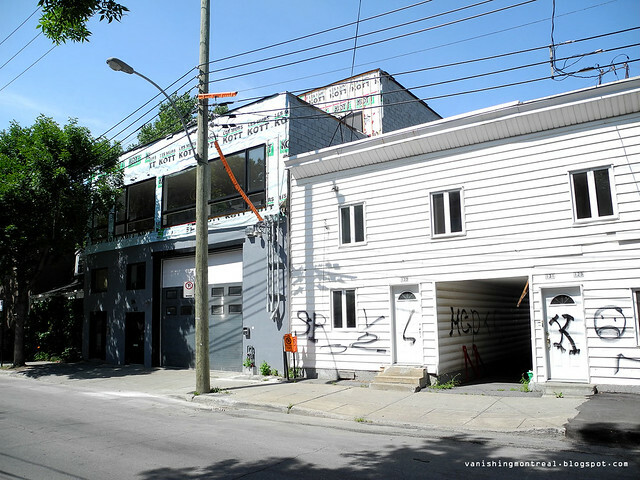 The garage on the left is being renovated with two new levels being added to it and the small St-Henri-style quadruplex is almost abandoned with only one apartment being rented (at the time these photos were taken). I have no information on what's in store for it but looking at the grafitti it doesn't bode well.